Make money by starting your own monetized link shortener! This template allows you to build, run, maintain, and customize your own monetized link shortener, similar to sites like AdFly or Shorte.st. 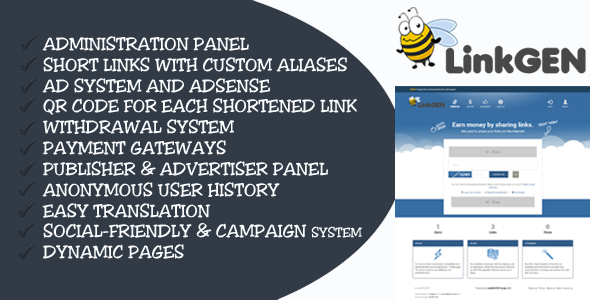 It comes fully featured with an admin panel, easy install instructions, full AJAX-based link shortener, and much more!